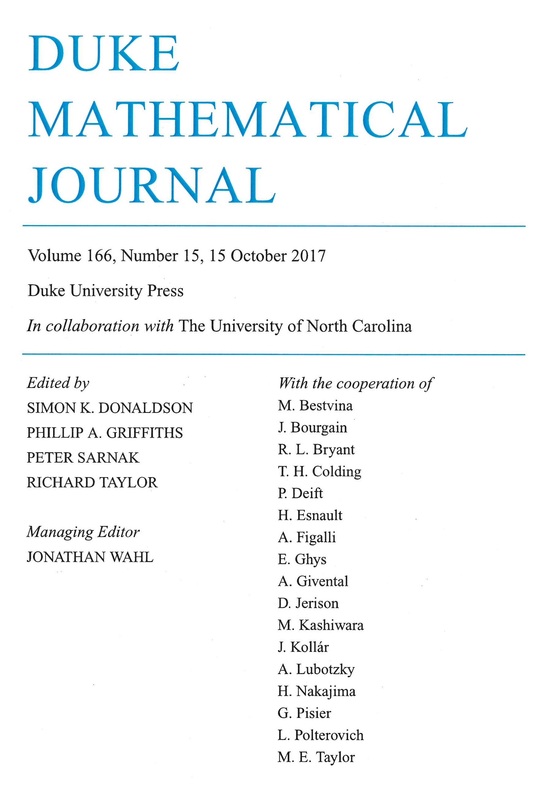 Congratulations to Dr Simon Smith on his paper being published in Duke Mathematical Journal, one of the most prestigious and highest-ranking journals in mathematics! In this paper, “A Product for Permutation Groups and Topological Groups“, Simon introduces a new product for permutation groups, called the box product. It takes as input two permutation groups, M and N, and produces an infinite group which carries many of the permutational properties of M. Surprisingly, the box product preserves primitivity under the same conditions as the wreath product acting in its product action. 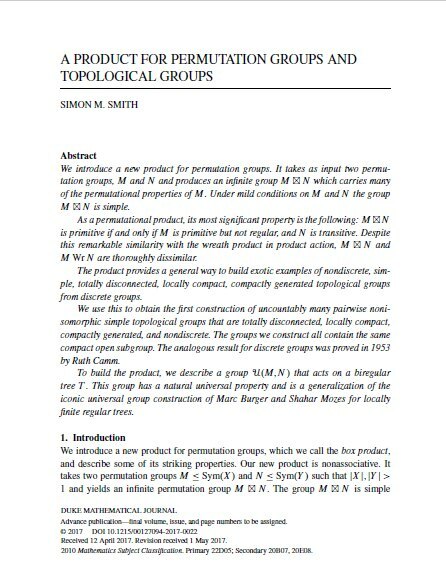 When M and N are thought of as topological groups, the product provides a general way to build exotic examples of groups in the class S of non-discrete, topologically simple, totally disconnected, locally compact, compactly generated topological groups. Simon uses the box product to obtain the first construction of uncountably many pairwise non-isomorphic groups in S.
Simon’s results not only answer important questions about the structure of groups in the class S, but open new areas of research in group theory based on his new operation on groups, the box product. This entry was posted on February 14, 2018 by Evgeny Khukhro in New publications, research.